Hi readers! I strive to have my weekly Publix shopping post up on Thursday by 2 pm. 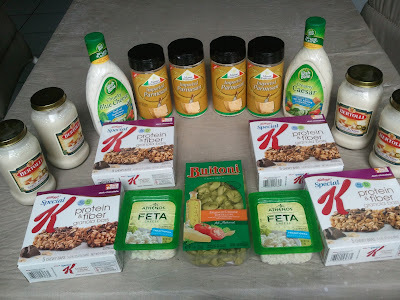 Please bookmark the Frugal Follies Publix Deals page by right-clicking that link and then choosing "Bookmark This Link" so that you can check out my deals as soon as they are posted! Or you can subscribe to the Frugal Follies newsletter, become a fan on Facebook, or follow on Twitter. Oh, well, you can't win them all! Deal alert: In the next Yellow Advantage flyer that starts on Saturday, there will be a $2 off Buitoni filled pasta coupon, making this deal only 50¢ per package! I also purchased Goodnites underwear, which brought my total above $50, but I do not count that purchase toward my grocery budget. According to iheartpublix, the veggies are that price and fruits are the price you saw. Sorry your deal didn't work out. I always get nervous before a shopping trip for this reason.